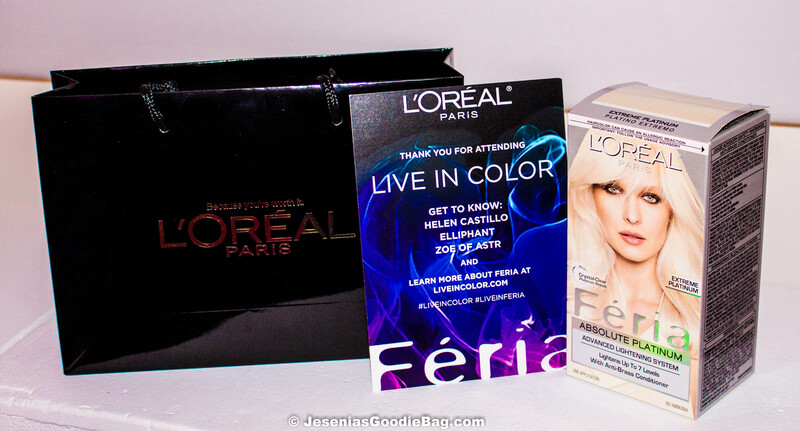 L’Oreal Paris wants you to Live in Color! 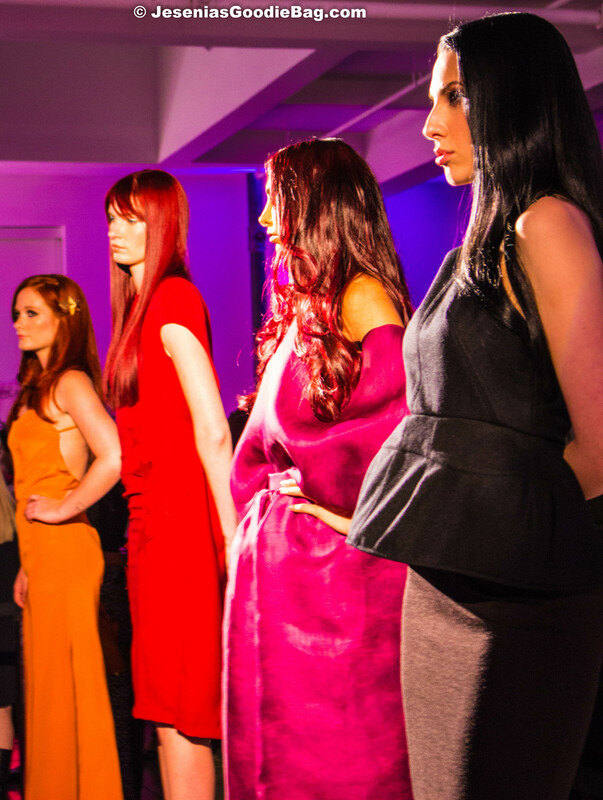 To celebrate their ALLURE magazine Reader’s Choice Award winning FERIA hair color, Project Runway darling, fashion designer Helen Castillo (wearing FERIA Power Violet) presented a fashion capsule collection inspired entirely by FERIA, in a delightful multifaceted palette of citrus, floral, and classic hues, with a 70s styled backless jumpsuit, star-embroidered shift dress, and a draped avant-garde sack dress. Separates included lace and sparkle detailing. 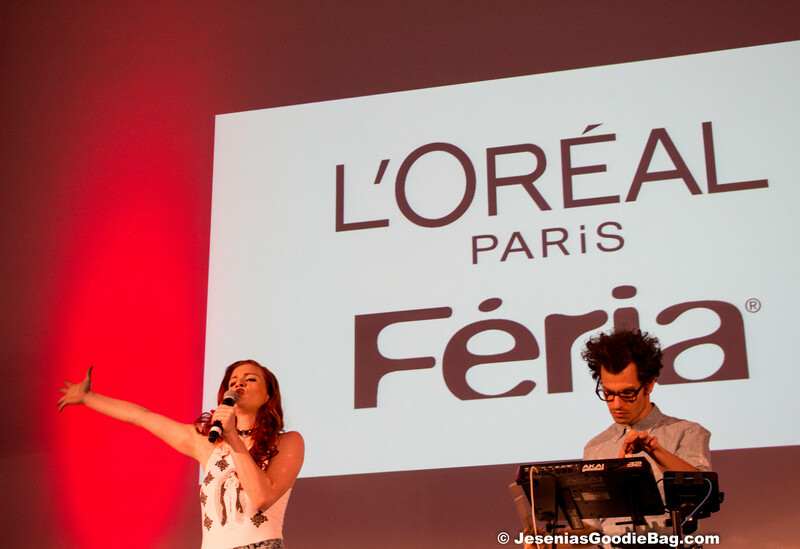 Musical performances by singer/rapper Elliphant (wearing FERIA Extreme Platinum) and electronic R&B artist, ASTR frontwoman, Zoe Silverman (wearing FERIA Power Copper). 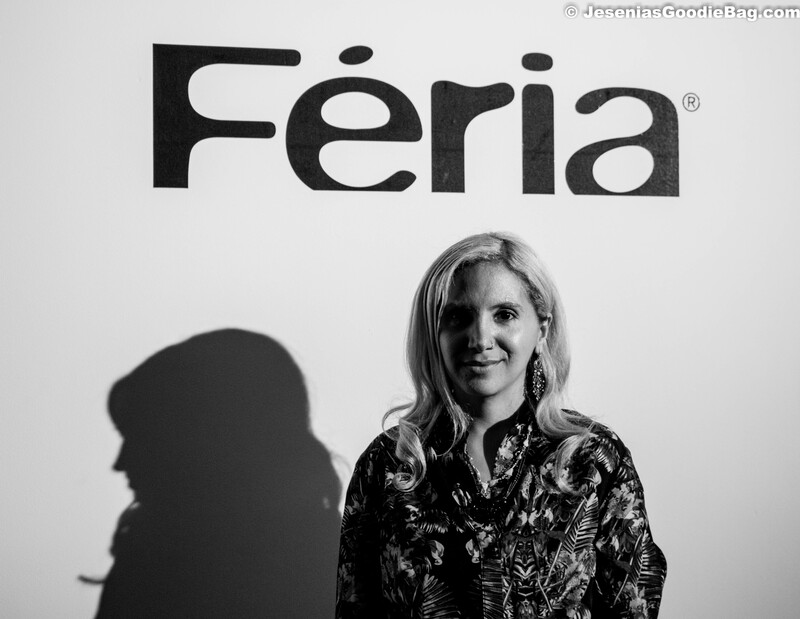 Guests made a beeline to the L’Oreal Hair Station for a one-on-one consultation with L’Oreal hair stylists, then off to the selfie booth, hashtagging via Twitter #LiveInColor #LiveInFERIA. 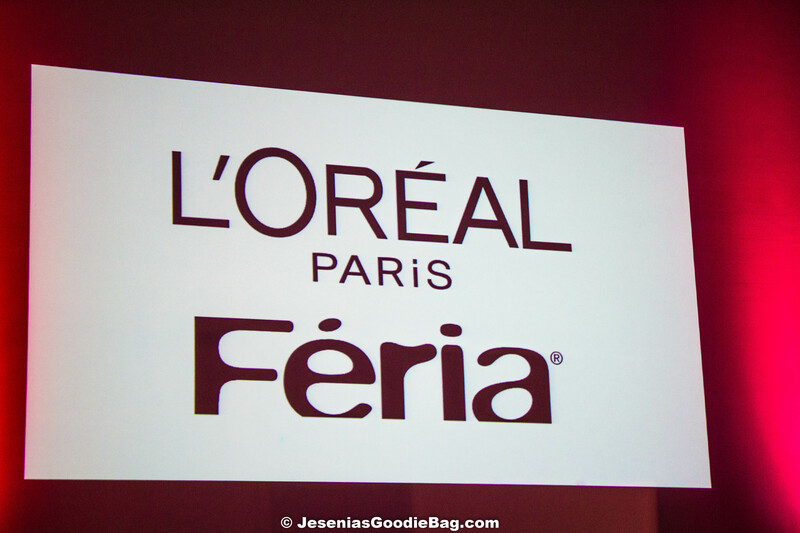 Jesenia’s Goodie Bag Editor took home a L’Oreal gift bag of FERIA Extreme Platinum.